The 17th FIAP International Seminar “Pension systems in a changing world,” jointly organized by the International Federation of Pension Fund Administrators (FIAP) and the Chilean Association of Pension Funds A.G., will be held on May 15 and 16, 2019, at the Santiago W Hotel, Santiago, Chile. 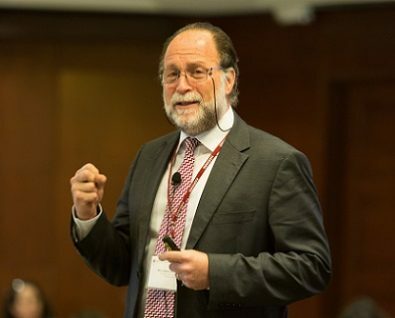 We are pleased to announce that one of the confirmed speakers for this Seminar is Ricardo Hausmann, Director of the Center for International Development at Harvard University. Ricardo Hausmann was formerly the Chief Economist of the Inter-American Development Bank (IDB), Minister of Planning of Venezuela, Member of the Board of Directors of the Central Bank of Venezuela, and Chairman of the Committee for the Development of the World Bank and the International Monetary Fund (IMF). A pioneer in the research of the causes of macroeconomic volatility in emerging markets, Ricardo has studied the role of budgetary and political institutions in achieving fiscal balance, the role of external debt in foreign currency in economic crises and its effects on the growth, poverty and inequality of developing countries. He has also advised more than 80 governments of developing countries in the creation of strategies and policies for economic growth. His knowledge, experience and track record will provide an interesting insight into the global economic outlook and its impact on Latin American economies at the FIAP Seminar. Register for the 2019 FIAP Seminar before March 31, and get a 20% discount on your registration.